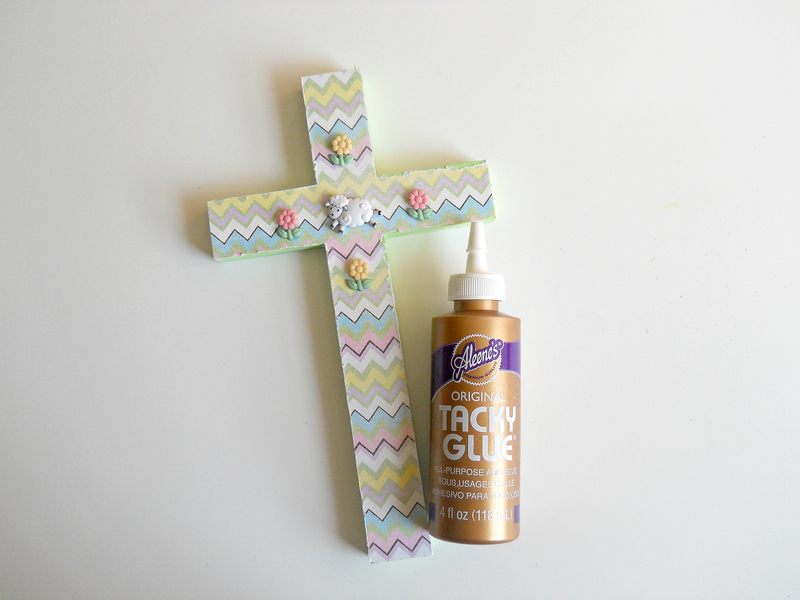 Today I have my first Easter inspired DIY! If you have been a follower of the blog, then you know that I love to decorate wooden pieces. One reason why I love wooden pieces is because they make a great base for creating a very simple project. Today's DIY is no exception! You don't need any fancy crafting skills to make this project and can probably create your own unique version with the craft supplies you do have on hand. Ok, on to the crafting! 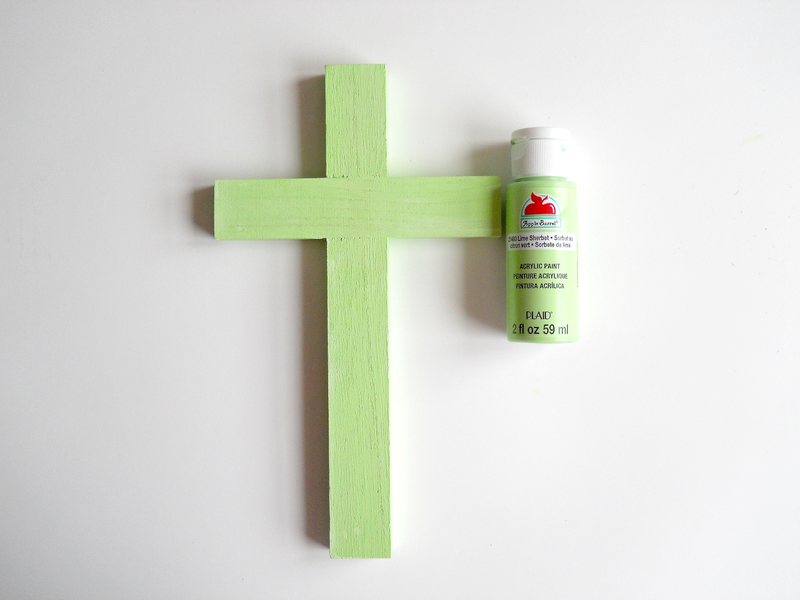 Step 1: Paint your wooden cross and set it aside to dry. 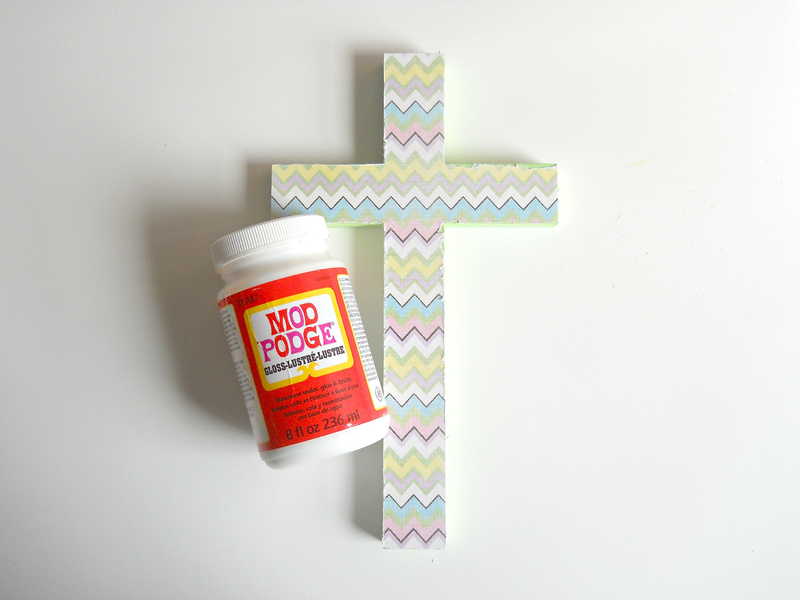 Step 2: When your cross is dry, apply some Mod Podge to the top on your cross and adhere your scrapbooking paper. When your scrapbooking paper is dry, cut off the extra paper. As a side note, I did take a little bit of sandpaper and sand off some of the paper around the cross's edges. 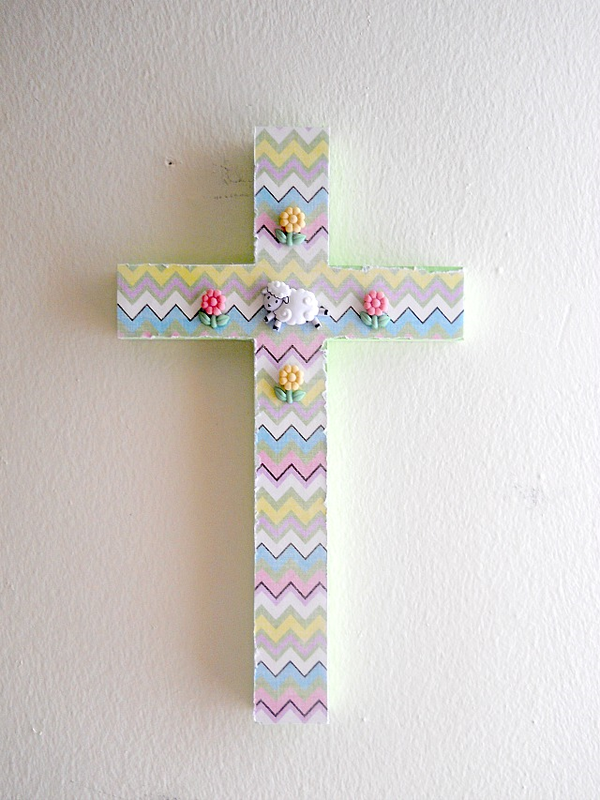 I wanted my cross to have more of a shabby chic look but this is totally optional. Step 3: Using your Tacky Glue add your buttons to the center of your cross. When your buttons are dry, your ready to hang your cross! 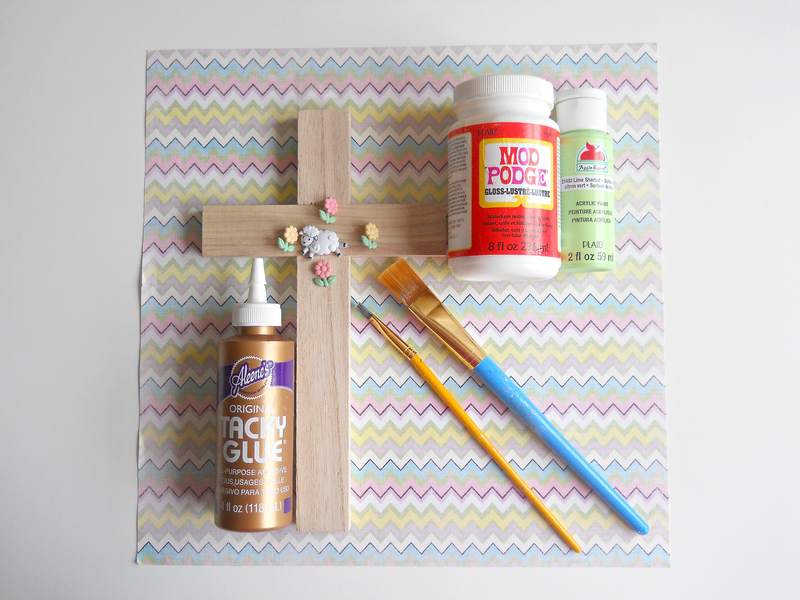 Like I mention before, you could probably decorate your cross with the craft supplies you already have on hand. Since this project doesn't take that many supplies, it would be great for all those little left over bits you've been saving. So what do you think? 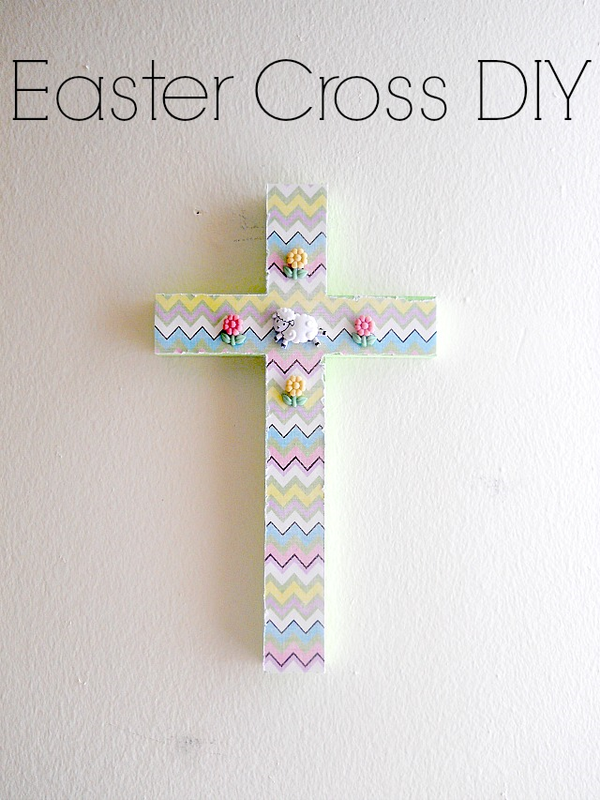 Do you like this Easter cross DIY? Craft Glue Guide: What Do You Really Need?